When I started my career as a CFE, my background had been primarily in auditing and accounting, and most of my cases were corporate matters. Fraud victims were usually corporate entities looking to quantify a loss and mitigate the lapse in controls. I rarely encountered an individual who suffered a real loss because of a fraud scheme. That all changed in early 2009. I was working on the liquidation of a real estate investment firm when an unexpected phone call permanently altered my outlook on fraud. Working out of the shuttered investment firm’s office, I answered the firm’s main phone line and was met by a soft, almost frail voice. “I’d like to get some information about my investment. I was supposed to be receiving monthly interest payments, but nothing has come in a while.” I spent the next 15 minutes listening to the caller, asking a few questions but mostly processing everything I heard as I took notes. The phone call was my first exposure to the emotional loss that victims of financial fraud can suffer. No longer was loss simply a mathematical calculation, a procedural assessment of lax internal controls or documenting conduct subject to a governmental inquiry. Now a victim’s full financial and emotional toll were front and center. This fraud scheme began when an investment advisor persuaded a group of tightly knit elderly individuals to invest their retirement savings with him. He promised to invest in a portfolio of real estate properties that were showing great returns. This “can’t-miss” investment opportunity wasn’t registered with the SEC, so anyone investing would need to be an “accredited investor.” These retirees in particular didn’t qualify as accredited investors, but that didn’t stop the advisor — he helped prepare false paperwork to make it seem they did. Soon after the retirees made their investments, they began receiving monthly distribution checks. In 2008, that same investment advisor went back to the group (along with others) seeking additional money to fund investments in yet more properties. There weren’t new properties, however. In classic Ponzi scheme fashion, the new funds were used primarily to make distribution payments to early investors. Those distribution checks soon stopped coming to the investors, and the real estate management firm ended up in bankruptcy. The fraud victim I spoke with during that early 2009 phone call, like others I spoke to in the weeks afterwards, was truly dependent on the distribution checks and had burned through any other savings available to avoid falling behind on mortgage payments. I learned that all other savings had been exhausted and there was nothing left to pay the mortgage. The fraud significantly hurt the elderly victims’ financial well-being, but the emotional toll seemed worse. Almost ten years later I can still hear the pain in their voices. They’d saved during their entire careers to enjoy their golden years. But their once seemingly secure financial futures were gone thanks to an investment advisor who preyed on their trust. In total, dozens of investors fell victim to this fraudulent investment scheme that raised more than $20 million dollars before its collapse. The investment advisor was subsequently barred by FINRA (Financial Industry Regulatory Authority) and his brokerage firm was later expelled from the securities industry. The financial exploitation of the elderly is a truly heinous crime. According to Consumer Reports, monetary losses related to elder financial abuse have been estimated to potentially exceed $36 billion per year. (See Financial Elder Abuse costs $3 Billion a Year. Or is it $36 Billion? by Tobie Stanger, Sept. 29, 2015.) As shocking as that amount might seem, this figure could be understated. Both the U.S. Federal Trade Commission (FTC) and New York state found that only a small portion of cases are actually reported. The U.S. Census Bureau projects that by 2035, approximately 78 million people over the age of 65 will be living in the U.S. This means 1 in 5 residents will be at retirement age. The Census Bureau estimated that those 65 and over comprised 15.2 percent of the U.S. population in 2016. With projected growth in the population, losses from elder financial abuse likely will continue to increase. However, this trend doesn’t need to continue. CFEs are positioned to help combat financial elder abuse. The key is to learn about common fraud schemes targeting the elderly. Earlier this year, the U.S. Senate Special Committee on Aging issued the updated version of its report, “Fighting Fraud: Senate Aging Committee Identifies Top 10 Scams Targeting Our Nation’s Seniors.” The report breaks down common elder financial abuse fraud schemes, provides hotline statistics and includes a wealth of resources for countering elder abuse. In the majority of scams covered, fraudsters usually direct victims to make payments via electronic transfers or by purchasing pre-paid debit cards and supplying the fraudster with the accompanying card numbers and PINs. The IRS will never call a taxpayer and demand immediate payments. The IRS will never ask for payment over the phone. The IRS will never threaten to send the police to arrest a taxpayer. Sweepstakes/Jamaican lottery. These scams typically involve convincing the victim that they’ve won a sweepstakes or lottery and only need to pay a small fee to collect the jackpot. Like the old adage says, “You can’t win if you don’t play,” so be very suspicious if you receive a call telling you you’ve won a contest you didn’t enter. “Can You Hear Me?” While few actual losses were tied to this new type of scheme, in 2017 the FTC began to receive numerous complaints about calls that consisted solely of “Can you hear me?” or other questions designed to elicit a “Yes” response. Fraudsters might be using these calls to identify targets for other fraud schemes by identifying phone numbers for recipients who might not screen calls, or to allow robocaller software to dial a large number calls and funnel live recipients to an operator. The FTC recommends simply hanging up on these calls as any other response might lead to even more calls. Grandchildren impersonations. 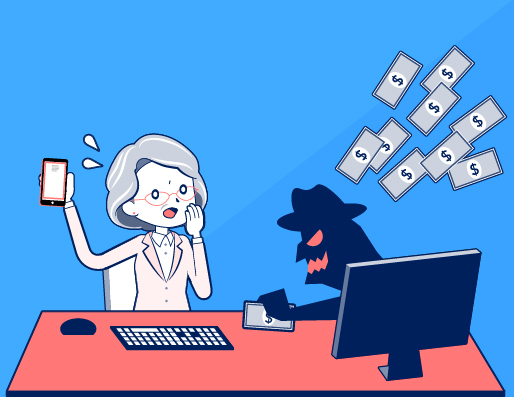 In this scam — targeted directly at grandparents — the fraudsters either impersonate victims’ grandchildren or other concerned parties to convince victims to send money for emergency needs such as medical issues or an arrest. Similar to the IRS impersonation and sweepstakes scams, take a few steps to verify information before acting on the scammers’ statements. Hospitals in the U.S. won’t deny emergency medical care pending upfront payment and in the case of arrest, law enforcement won’t demand immediate payment in the middle of the night. Recipients of these calls should take a minute to verify their loved one’s identity by asking a question that only they would know or by asking for a call-back number that can be confirmed elsewhere. Thinking back to the early 2009 calls with the real estate investors, I wish the victims of that fraud had been more aware of common elder abuse fraud schemes and more skeptical of their financial advisor’s offers. CFEs can substantially counter elder financial abuse, especially when law enforcement might lack resources to investigate every allegation. After you familiarize yourself with common fraud schemes, like those above, spread that knowledge to your family and existing clients. Then become an elder-fraud resource to senior centers, civic groups and religious organizations by giving talks on the topic and holding informal one-on-one consulting sessions to discuss concerns with the elderly (though don’t stray into offering investment advice if you’re not licensed to do so). CFEs also can offer to partner with attorneys representing potential victims on a pro bono basis to help investigate allegations of elder financial abuse. In some jurisdictions, local law enforcement might welcome consulting with CFEs on the financial aspects of elder abuse investigations that they otherwise wouldn’t have the resources to investigate. Elder financial abuse will probably only get worse as the U.S. population ages. CFEs who vigorously work to both increase awareness by educating the public and commit their time and efforts to assist victims pursuing available remedies will undoubtedly help stem the tide and prevent someone from suffering a real financial and emotional loss. Rob Loh, CFE, is senior manager at Stout Risius Ross, LLC. Contact him at RLoh@Stout.com. As CFEs, it’s our duty to help diminish the fears that impede the fight against fraud. When our organizations acknowledge those fears we can effectively use resources to combat them. I’ve seen companies that use analytics tools and proactive monitoring turn idle threats into reality. This underreporting of financial crimes against the elderly makes it difficult to get reliable statistics. It’s possible that the aggregated financial impact on elderly victims — and society in general — will get much worse before a comprehensive national research and intervention response is entrenched.